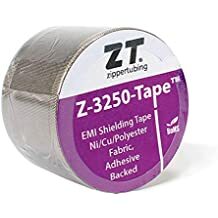 Zip Mesh - Zip Mesh - Trade Names - ZT | Zippertubing Co.
Zip-Mesh® is a highly flexible, easy-to-use EMI shielding knitted-mesh tape comprised of two-ply, 36 AWG woven tinned-plated copper mesh with a high-temperature, solvent-resistant adhesive backing. 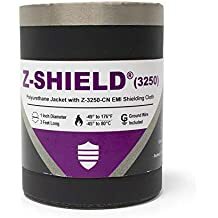 The knitted mesh design creates a highly flexible shield that unlike many tubular braids will not change its attenuation performance when articulated. Zip-Mesh® knitted-mesh tape is ideal for applications where high flexibility in repair locations, splices, branch-outs, or transitions is needed. Although this product comes standard in 1.0” and 2.0” tape widths from our website, custom sizes, shapes and lengths are also available by contacting us directly. Zippertubing’s Zip-Mesh® is intended to complement Zipper-Mesh™ and other SHX knitted-mesh series products. This product has an operational temperature range of -40° to 149°C (-40° to 300°F).